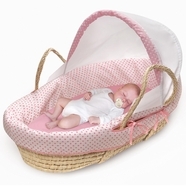 For the first few months of your baby's life, you'll find a Moses bassinet or Moses basket is a convenient and cozy sleeping space for your newborn, as well as a great way for you to feel as connected as possible. 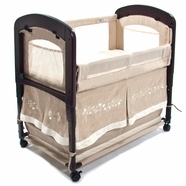 You can easily carry these portable baby beds wherever you need in your home, allowing you to keep a close watch over your sleeping baby. 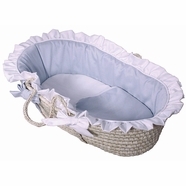 When you're ready for sleep, just place your newborn alongside your bed in her Moses basket or Moses bassinet to make nighttime feeding much simpler. 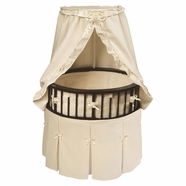 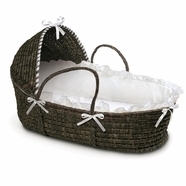 Put your baby into safe and comfortable sound sleep with bassinets and Moses baskets from Simply Baby Furniture! 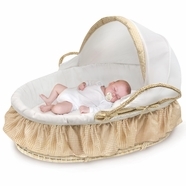 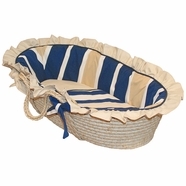 Choose a bassinet or Moses basket from top designers with an acclaimed reputation for quality, comfort and safety, like LA Baby, Scandinavian Child, and Badger. 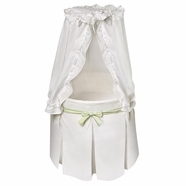 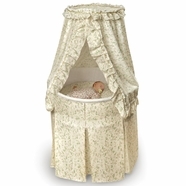 Provide a cocoon of comfort for your newborn in those crucial months of early development with plushy and luxurious standing bassinets, portable folding bassinets, and easy access Moses baskets with washable bedding made from breathable cotton. 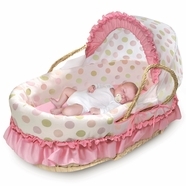 All of these products are from manufacturers who share a commitment to safety, so you can feel comfortable knowing your newborn is safely sleeping. 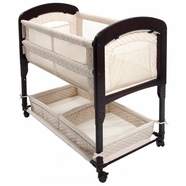 Simply Baby Furniture offers a lowest price guarantee and absolutely FREE shipping on every product. 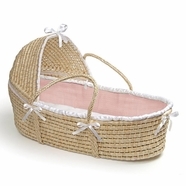 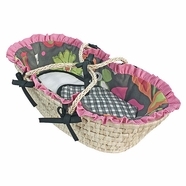 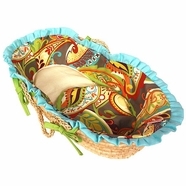 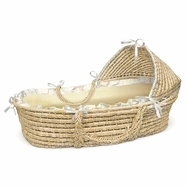 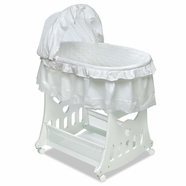 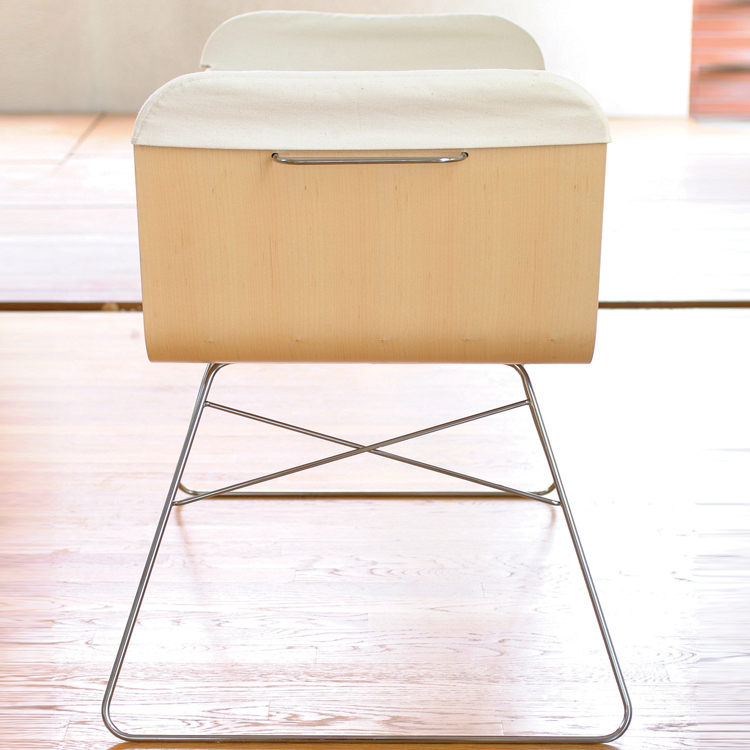 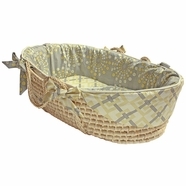 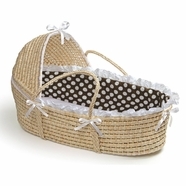 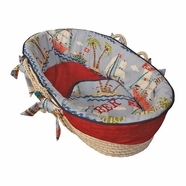 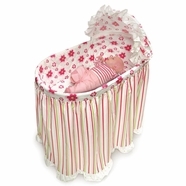 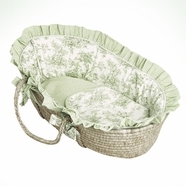 Need help finding the perfect bassinet? 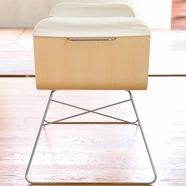 Call one of our customer experts today and receive live advice from professionals committed to safety, quality, and value. 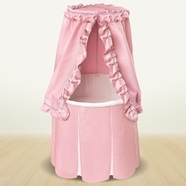 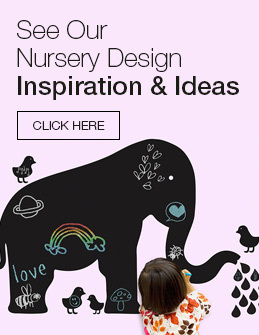 Simply Baby Furniture is simply a dream come true for your baby furniture needs!